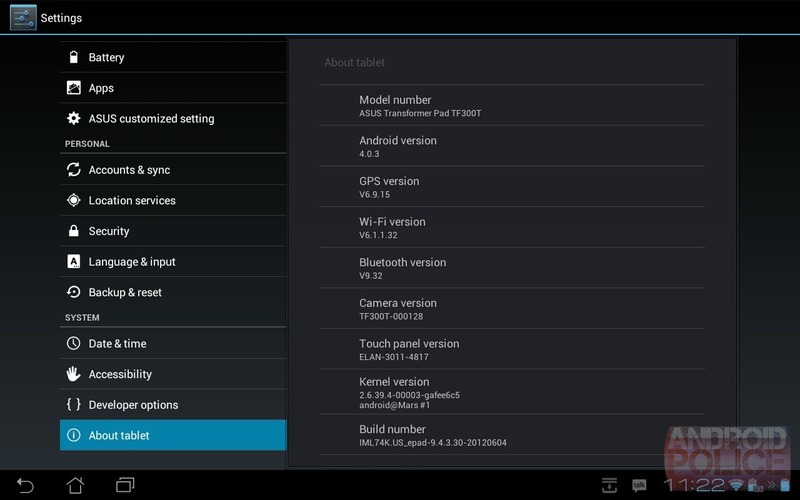 Following last month's Transformer Pad 300 (TF300) OTA update to v9.4.3.29, ASUS is pushing out a new bug fixer v9.4.3.30 with a host of improvements, the most notable one of which is the upgraded camera firmware. I just completed the process on my tablet, and it only took a few minutes. To force your device to check for this update, go to Settings > About > System Firmware Update and press Check Update.